Last August I stood atop Mt Liberty as my final 4000-foot mountain in New Hampshire. This year has been all about Maine and Vermont. My new quest was to hike all the 4000 foot peaks in New England. With NH complete I only needed to hike nineteen mountains to complete the list. The most difficult part was the driving time. Mount Speck was the first hike outside of NH I did over 4000 feet. With a three hour drive one way, I knew the list would require some dedication and careful planning. I’d soon become accustom to multi-day trips in Maine and Vermont, often planning hikes around vacation time. I spent a weekend this summer in Vermont to attempt to hike all five of the 4000-footers in the state in three days. I ended up with four completed with Mt. Abraham left because of a car spotting misstep. I soon realized after my weekend in Vermont that I also had to go back to hike Maine’s Mt Abraham. There’s something about Abraham! For my birthday, Keith and I decided to spend the weekend in Vermont. We would hike Abraham on Saturday and stay through Monday morning. 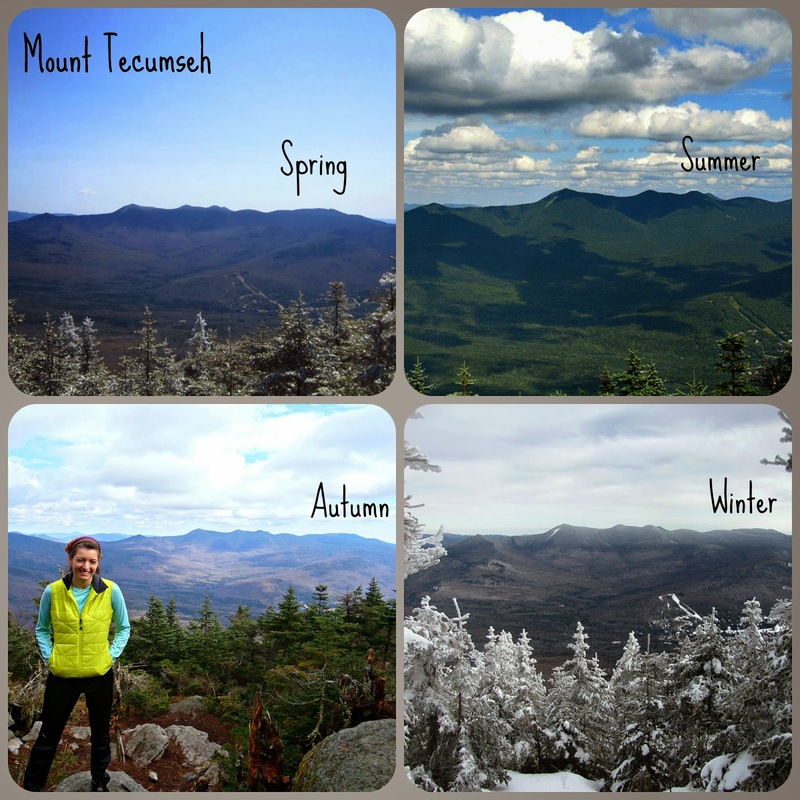 Mount Abraham has two different trails you can take. We hiked up the Long Trail from Lincoln Gap. The trailhead for Lincoln Gap has plenty of parking (two lots). The drive there is really steep. I felt like we drove partway up the mountain! The trail has a moderate grade and isn’t very rocky until you pass the shelter. At only 2.6 miles each way, it’s a shorter hike for a 4K. The Battell shelter is a lean-to with a water source nearby and a privy. There’s also a caretaker. The last .9 to the summit was a mix of emotions. I was very excited about finishing, but it was bittersweet as most things that end are. The first views brought a tear to my eye. After walking over three hundred and fifty miles (just for the list), my journey was almost complete. Through this journey I have been fortunate enough to see the most beautiful and rugged places in New England that most don’t have the opportunity to experience. After taking in the views, eating lunch, and chatting with a few other hikers, we headed just north of the summit. I had done my research and knew of a small plane that crashed right below the summit in June of 1973. I found out that the pilot tried to navigate a cloud bank and struck some trees near the 3000′ mark. He was on his way from Twin Mt., VT to Newburgh New York. No one died in the crash. There were a couple dozen people on the summit, but I didn’t see anyone head over in the direction of the plane. It is really easy to get to. *Spoiler* If you go north of the summit you will see a very small cairn on the left only a couple hundred feet down the trail. About 20 feet past the cairn in the plane. It is the most complete plane crash I have encountered and it’s been there for over forty years! Vermont is a gorgeous state, especially in the fall. We had rented at Sugarbush for the weekend and would be exploring Montpelier and the Mad River area that weekend as well. On Sunday we went to Fresh Tracks Farm for a wine tasting. I loved their apple wine! After the tasting, we explored their vineyard. Keith went up the stone steps and asked me to grab his camera. Once up the stairs, we looked for grapes and enjoyed the sunshine. It was such a relaxing and perfect place to be. As we were enjoying the moment, Keith asked if I would marry him. It was such an unexpected surprise. After being together for almost nine years I knew we would get married, but I did not expect him to ask then! It was the perfect place to get engaged. Vermont will always have a special place in my heart.